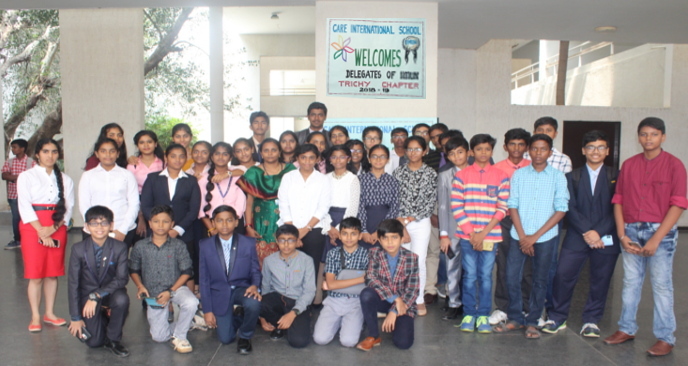 Being Indian at heart and international in mind, CARE International School opened the curtains for the third edition of IIMUN Trichy on November 9th to 11th 2018. 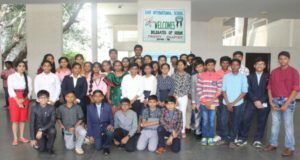 This edition was entirely different from the other ones as the organizations changed its nomenclature of IIMUN from Indian International Model United Nations to India’s International Movement to Unite Nations with a motto of “Change is the only constant”. This change involved the introduction of an extra baby step of planting a tree or feeding a person as a part of the SDGs of UN. This year steps were taken to simulate Indian committees for spreading knowledge about the variety in Indian culture. The three days conference started with a colourful and enriching inaugural ceremony in presence of the chief guest of the evening Prof. Nagaprakasam, motivational speaker, Business Advisor and a versatile & passionate leader; guest of honor, Mr. A. Mayilvagnam the DCP, Crime and Traffic, Trichy; Mr. Prative Chend, CEO, CARE group of institutions and Mrs. Aarthy Nehru, CEO, CARE International School. The Big Event ended with flying colours where the CEO of CARE group of Institutions Mr. Prative Chand motivated the students to always take the first step no matter how hard you expect it to be. Congratulations to all the winners and participants for presenting your views and extensive research on the various topics.